Queen of Europe - The European Ladies League is the first ever drift event for women only and 2013 was the first edition of this league were 10 ladies took part. 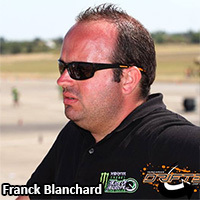 From 2013 the King of Europe Drift Championship was divided into four sub categories: ProSeries, Street Legal, Queen of Europe and Drift GrandPrix.The project of Queen of Europe is venture between Franck Blanchard and Michael Procureur. 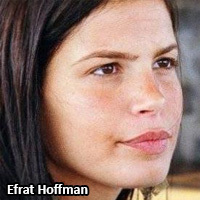 Towards round 2 and 3 a guest judge Efrat Hoffman from Israel joined the committee. 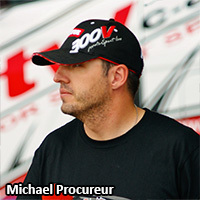 Creator of World Drift Association. 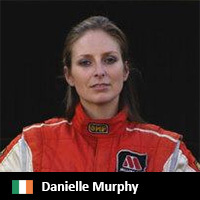 Danielle is a professional drift driver from Dublin, Ireland. Danni grew up surrounded by motorsport and mechanics so it no wonder from where she took her passion to the track. From an early age all she can remember is her parents sharing their passion for the fast cars and customizing their trucks. Danni's father also was involved in the hot rods competitions and stock car racing.Danielle and her two brothers were taught how to drive and were encouraged to participate in motorsports which led her into the competitive male dominated world of drifting.Currently shes driving a Nissan Silvia S14. For Karolina her passion for the motorsport started quite early at the age of 13. That was when she sat for the first time behind the wheel. After getting her driving licence she decided to develop more her driving skills by attending a driving school. There she learned the techniques of how to handle a vehicle in difficult situations. She’s currently known as the polish drift queen. Currently her set of wheels is a Pink Nissan S14 with a LS Engine producing 600+ HP. She started drifting in 2010 with a Mazda MX5 then upgraded to BMW E30 powered with a BMW M5 V8 engine. She has competed in Romanian championship, KOE Pro Series, KOE Street Legal, Queen of Europe. She was the 1st girl to compete in Arabia (Amman - Jordan 2012) and also has competed in Drag Racing, Gymkhana, Time Attack, National Rally. Iva Rusinova has been involved in drifting for the past 3 years now, switching between different drifting cars such as Toyota corolla, AE86, RWD converted Audi 90, Nissan 350z and finally the yellow Subaru Impreza. 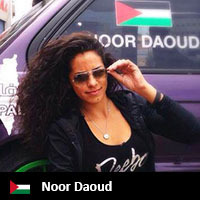 Coming from Isreal Noor Daoud is the first female Palestinian drift driver. 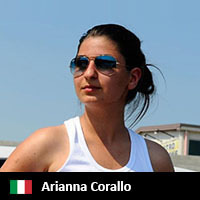 Born in Italy coming from Pavia, Italy Arianna was already established by the young age of 16. She inherited her passion for cars through her father. The first time to hit the asphalt was in 2011 driving a Mazda MX5. She started practicing in a motor circuit close to home regularly, and like all the beginners drifters she used to practice in a yard were large space allows you to easily make mistakes needed to learn and improve without destroying the car against the wall. After training hard she got a BMW E36 as a surprise gift. Arianna's target is to become a professional drifter in the future coming. Yordanova comes from Bulgaria were she took part in the first round of the series.She had to battle against Ramona Rusu for a place in the semifinals.Both girls driving V8 powered E30's. Ramona was the lucky one so to say, as Raya has encountered some mechanical issues, so the Romanian driver Rusu was awarded 10 points on both runs. All the way from Budapest, Hungary Andi forms part of Mester Drift Team in Solymár and drifts with a BMW E36. Ana took part in the 2 round of the Queen of Europe series. She is a rally driver but in her spare time takes part in various drifting events. Ana tried her best in going up against the Latvian queen Kristine Stanevica.